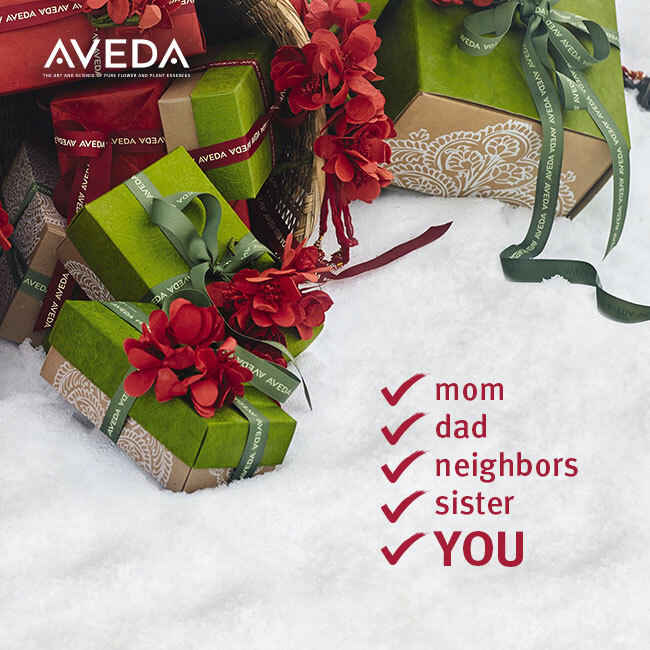 Every time you purchase Aveda products at Thirty Hair Salon this holiday season, you’ll earn double the points with Aveda Pure Privilege. Hair Perfume?! No Hair PUREfumes! We all know that Aveda loves to use certain terms for their products. But did you know they have a new one? It's Purefume over Perfume. What's the difference you ask? It's very simple, their new launch of the Hair Purefumes are truly pure plant and flower aromas to spray in your hair for lasting aroma. Aveda’s first hair pure-fume™ line created specifically to deliver the distinctive Aveda pure flower and plant aroma with the high performance hair care benefits of softness and shine. We now carry 3 amazing aromas for your hair that can help you relax and feel good! Who doesn't love feeling good and smelling amazing!? A Year of Free Haircuts! All Month Long, you can enter to win a years worth of free haircuts as well as a basket of Aveda Products worth over $350! Raffle tickets are 1 for $2, 3 for $5 or an Arms Length for $20! The winning ticket will be chosen on April 29 at 5pm! We are working hard to achieve a goal of $3,000 towards the Aveda Earth Month goal of $6.5 million! Purchase a Light the Way candle for a donation of $12 and provide clean water for 1 adult in Madagascar for 6 years! Amazing Skincare Results without Any Downtime! Have you been looking for that Elusive Magic Skincare product that will transform your skin without having to spend lots of time? Aveda has taken their stance seriously on improving their skincare line this year by a January 1 launch of their new Wedding Masque line of overnight products. The new additions to the Tulasara line at Aveda include an overnight masque and eye masque that work while you sleep! Utilizing tumeric among other amazing ingredients, this product when used consistently over time will help brighten your skin tone and most importantly, help firm and lift your skin over time. We have limited quantities of samples so hurry in before they are all gone! The last Tulasara launch of a product created a 2 month backorder so hurry in and snag the new amazing skincare product from Aveda before it's gone! Want to know how we kicked off the new year? Probably a lot like you all with some fun NYE parties, a lot of germs (this winter cold business is awful!) and most importantly with some New Education to kick start our year! Today, we had Jeffrey Scott from Aveda in for a fantastic color class discussing 7 new ideas for our team. We spent our day watching and doing these new techniques, trying them all out on our mannequins! 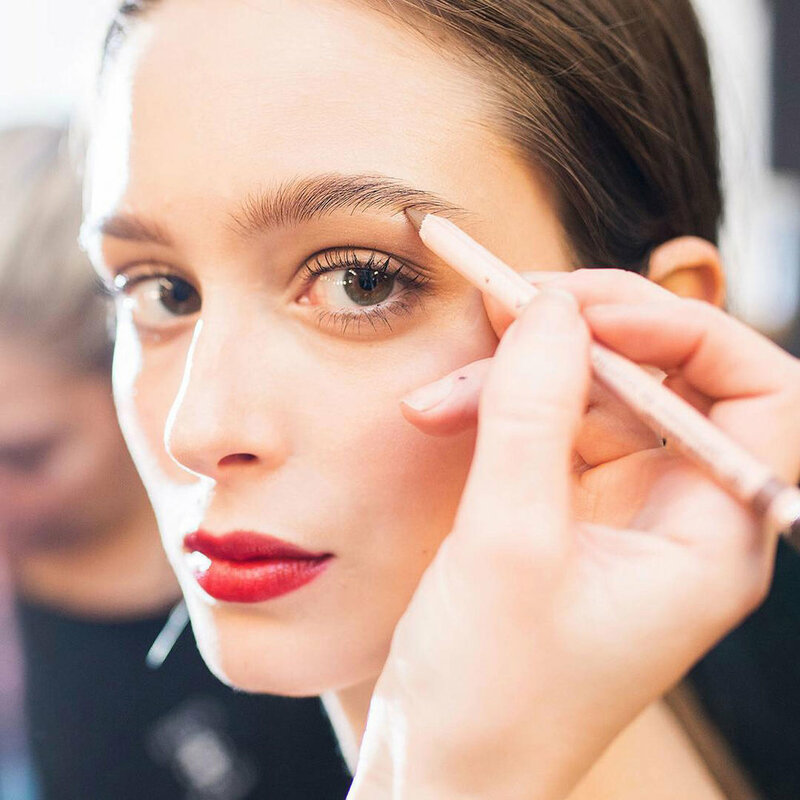 Probably the most exciting part of the day was that each of these techniques and placements are actually wearable and do-able on everyone! This wasn't a class focused on crazy trends or things that takes hours to do or requires you come back for maintenance every 2 weeks. A huge shout-out to Jeffrey Scott for a fantastic day! Thanks for visiting Maryland! Take a look at some of our fun day! Our team plus Bre's sister Allie who came down from NJ to learn with us! We are so excited to officially launch the new Aveda skincare Tulsara. On Wednesday, November 9, we will be having an exclusive event for a limited number of guests to enjoy a full skin analysis, a skincare tutorial and application, makeup color assessment and application as well as light refreshments and beverages and a free gift valued at $30. The biggest thing to know about the new Tulsara line is that it takes older tried and true philosophies from the Ayuverdic principles combined with new technology and ingredients to give your skin the best chance at stellar results. They have introduced an amazing new dry brush with an oleation oil to help you increase blood flow to your skin and exfoliate your skin daily, in turn helping your skincare penetrate deeper and better. After learning about the skincare lines and having a skin analysis, you will then get to utilize the products to cleanse, tone and moisturize your skin to perfection. Our makeup artists will then teach you the perfect 5 minute makeup application with customized colors for your skin, hair and eyes. We will then help you apply it, giving you lots of tips and tricks! Spaces are limited, reservations can be made by emailing sarah@thirtyhair.com We look forward to you joining us on November 9! Here at Thirty Hair, we are already drinking our pumpkin spice coffees, wearing our leggings and uggs on the weekends, and working hard on our fantasy football leagues. Just as important as those things, we are all working on new haircolors and transitioning to our fall looks. Aveda launched their fall makeup collection recently and we have it in stock! What excites us the most is that the lipstick Carmelian literally looks fantastic on EVERYONE! And we are not kidding. 4 of us all wore it one day and it was perfect! It definitely is a go to for your fall going out makeup or when you are feeling a little sassy. They launched a new limited edition gold liner which LASTS! Who doesn't love a little sparkle, especially around their eyes?! Make sure to stop by and test out the new colors. They are limited edition so they won't last long. It seems that we have a flurry of activity over here at Thirty Hair lately. Between the temporary addition of Salon Marielle while they await decisions on their flood-ravaged salon, back to school and work cuts and colors and lots of new remodeling additions at our salon, the only thing that's constantly the same is all the beautiful hair we are sending out the door! We have been seeing a lot of shorter hairstyles this summer with a lot of dimensional color either with foils or hand-painting. (for more about that different click here) Here are just a few pictures of our latest beautiful hairstyles heading out to enjoy the sunshine! !